Delicate paper snowflakes add fanciful geometric designs and fresh white color to winter holiday decor. Simple and elegant these handmade Christmas decorations are the perfect inspiration for Christmas crafts for kids and adults, and creative recycling paper projects in winter that make very special and cheap Christmas gifts. 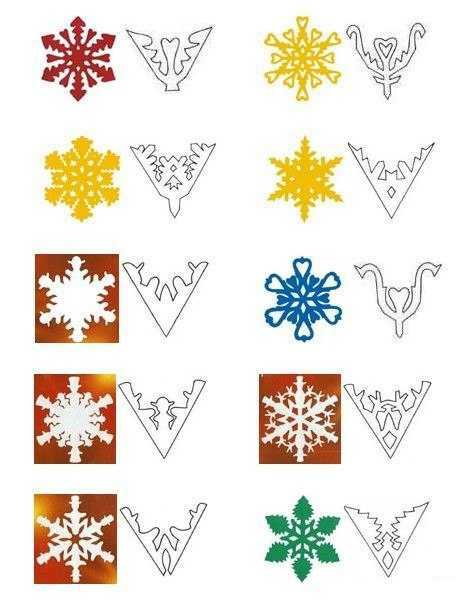 Snowflake garlands brighten up your holiday decor, adding familiar and symbolic images to winter decorating. To make these decorations you need only patience and imagination. Paper snowflakes make wonderful garlands, mantelpieces that dramatically transform walls, ceiling and window decorating. Overhead paper snowflakes are amazing winter holiday decorations. When snow is falling, it is as if the air itself is alive. Beautiful, lace-like paper snowflakes overhead create a similar effect. 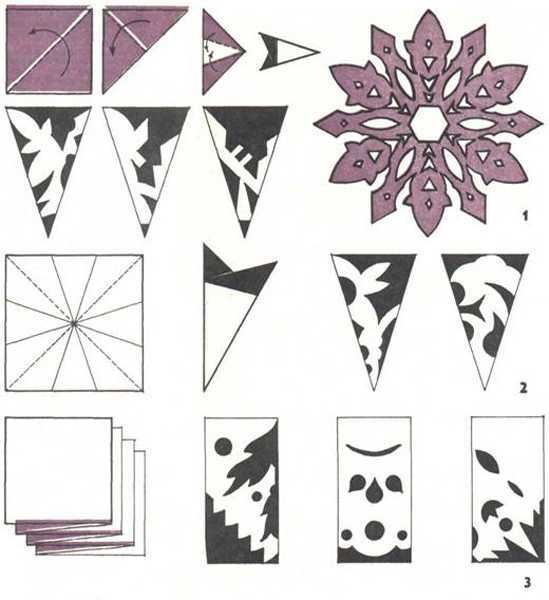 To make Christmas garlands of paper snowflakes cut out few identical designs of one piece of paper or glue individual snowflakes into a garland. Fold each in half like a book, glue back sides together, repeating until all are joined, creating a fabulous, weightless and gracious Christmas garland. Hang paper snowflakes on threads, attach your garland to a window frame or ceiling with white paper tape and enjoy a stunning ice-crystal Christmas garland that emphasize your winter holiday decor in style. 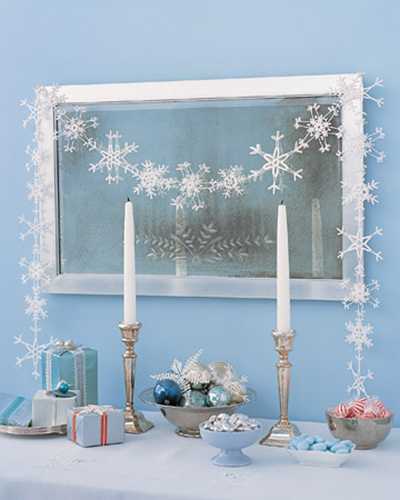 Christmas garlands with paper snowflakes look dazzling in front of a mirror, where the reflection doubles the winter show, adding spectacular design to your Christmas decorating.